While the whole world was waiting for the next generation of Windows operating system, i.e. Windows 9, but skipping right over 9, Microsoft has announced the next version of its Windows is Windows 10, disclosing its first details on Tuesday at an event in San Francisco. The latest version of Microsoft’s flagship operating system, which will be available for everyone next year, brings back the popular Start Menu, which had been removed from Windows 8. Windows 10 will be Microsoft’s single platform for developing apps across all devices, from Smartphones and tablets to desktop PCs. However, Windows 10 will not be a one-size-fits-all operating system and instead will vary a bit from device to device. "Windows 10 will run on the broadest amount of devices. A tailored experience for each device," Microsoft's executive VP of operating systems, Terry Myerson said at a press event here Tuesday. "There will be one way to write a universal application, one store, one way for apps to be discovered purchased and updated across all of these devices." "Some of these devices you hold in your hand, others are ten feet away," Microsoft said. "Some of these devices you primarily use touch/pen, others mouse/keyboard, others controller/gesture—and some devices can switch between input types. We’re not talking about one UI to rule them all—we’re talking about one product family, with a tailored experience for each device." Codenamed as Windows Threshold, Windows 10 will come with customizable live tiles in the new Start menu, which will look familiar to Windows 7. Among other features, Windows 10 will provide new options for re-sizing windows, multiple desktops, and a convenient "task view" to switch between them. The resizable tiles will provide users a quick view of notifications from relevant applications, such as details of new emails, Facebook messages, weather forecast updates and more. Other features include Task View – which supports multiple desktops, and Snap Assist – which lets you grab apps from multiple desktops. The Windows command prompt has also been improved. The announcement of an updated Windows operating system doesn't come as a complete surprise, as the leaked images of the latest Windows OS – under the codename "Threshold" – spreaded online which gave a closer look at Microsoft’s next major version of Windows. 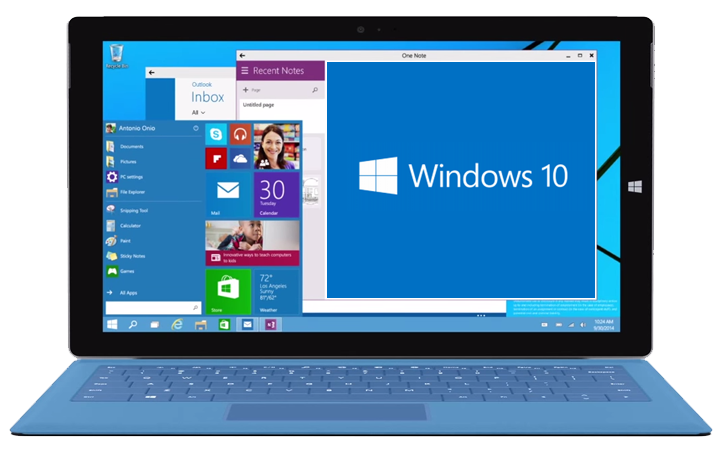 The only surprise is that the latest version of Windows is Windows 10, instead of Windows 9. "We believe that, together with the feedback you provide us, we can build a product that all of our customers will love," Myerson said. "It will be our most open collaborative OS projects ever." Microsoft has open up the OS to dedicated beta testers under its Windows 10 "Insider Program" for individuals to start testing and already reached out to companies to evaluate the new operating system as well. 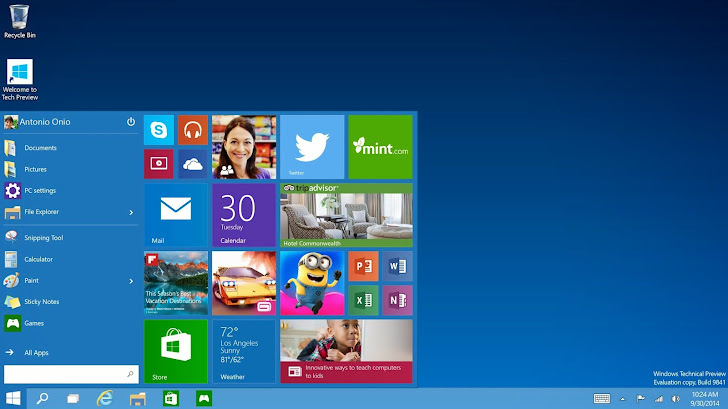 Windows 10 is still in its early stages of development and is expected to ship in mid 2015.